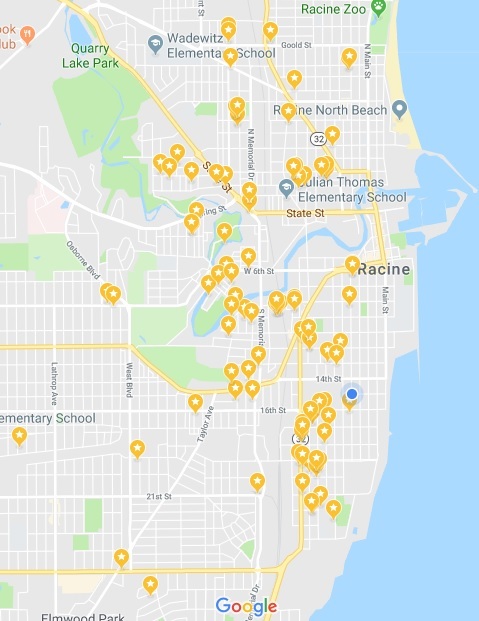 Including houses currently under construction, Racine Habitat has worked on building or rehabbing 99 houses in the past 30 years. We are starting our 100th house in the Spring of 2019. Our Local Build Project (LBP) is in Racine area neighborhoods. We build in the 5 oldest and lowest-wealth census tracts. Our completed Habitat houses are represented on this map by stars.